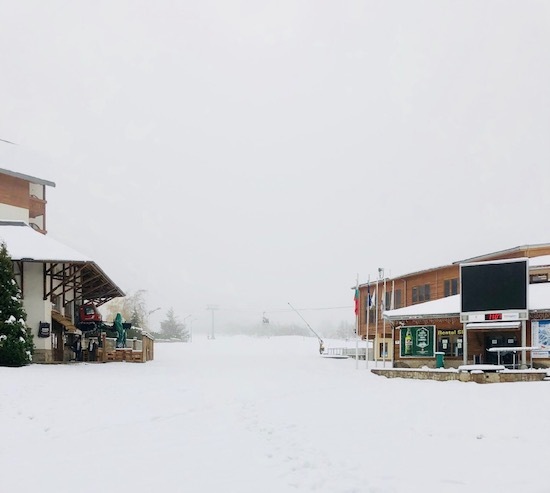 Fresh Snow: Will The Ski Season Start Early? Fresh snow fell Sunday and Monday and you may be thinking that the lift will be running soon. 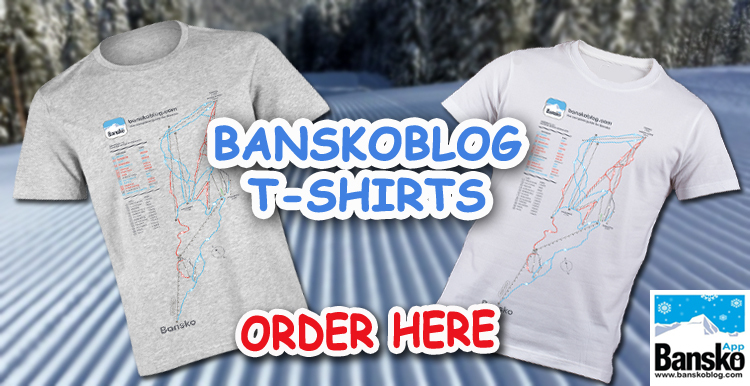 Here at banskoblog.com / Bansko App we only deal in facts and not speculation. We do speculate — but we always make it clear when we are doing so. Temperatures have increased and that means precipitation will fall as rain. At the moment it is much too early to predict if there will be any skiing before e15th December. But stay tuned here; subscribe and look out for the vlog here and in YouTube in the next few days. My overall best prediction is that we’ll see snow fall on the Plato, but the current snow cover lower down will be severely impacted. 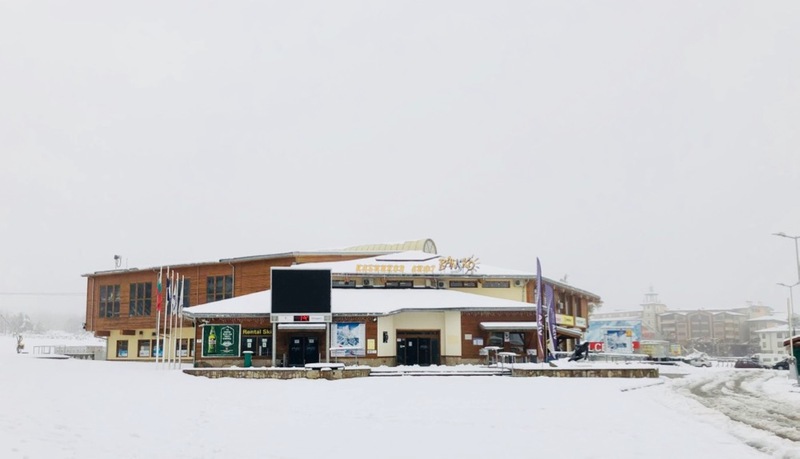 A series of weather fronts will cross Bulgaria depositing rain and snow higher up. But temperature for the nest week will not fall so low. This will hamper the ability to make snow. But fear not, there will be good news on temperature at the end of next week. Predicting weather more than 5 to 6 days out in really hard. Complex weather systems only have to change a tiny amount for the outcome to be different that expected. For example a convergence of cold air from the north reaching the warmer air just to the south of Bansko can create a perfect storm of snow. When this is going to happen we’ll send you an email — assuming we get enough notice. Join us in the in-app chat to gain local weather knowledge. The official opening will be on 15th December 2018. There will be a lot of people. It’s always exciting and I’ll be there to ski and t record the moment. 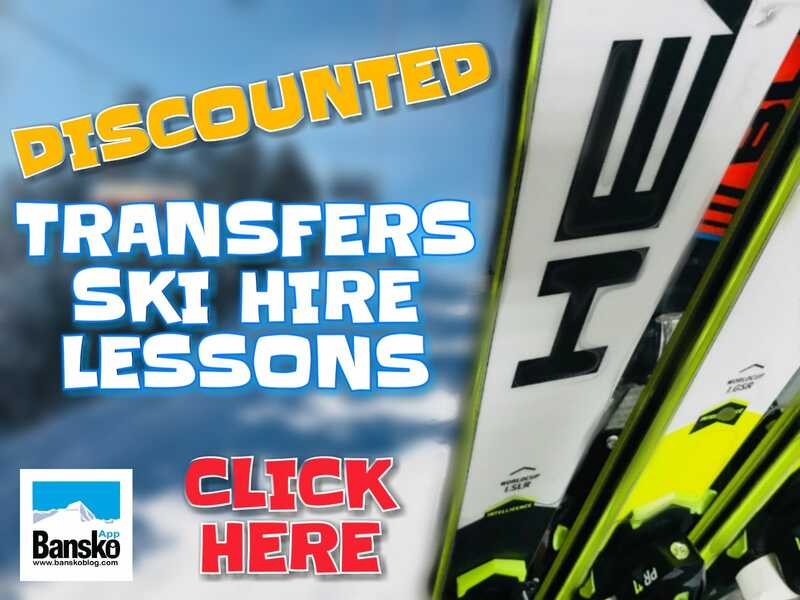 Now is a great time to plan and book your transfers, ski hire snowboard hire, group and private lessons. You can do it by clicking that text. It helps us keep doing what we do. A final warning. Whilst Gabriella was researching for this article she saw several major hotels predicting that skiing starts on 1st December. Be warned, this happens rarely and in no way should they be advertising this. 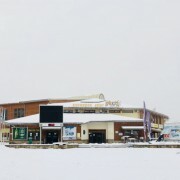 Every year people arrive in Bansko in December having believed what they have read on a hotel website. 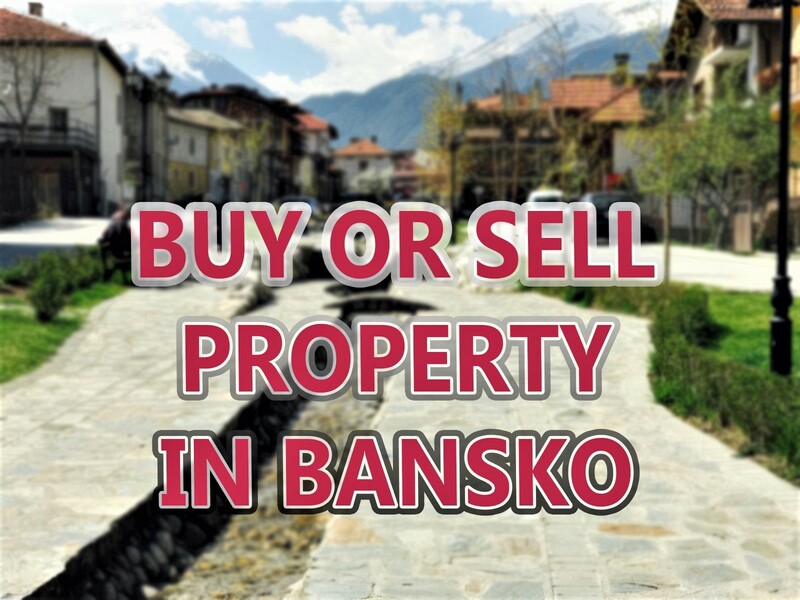 We are astounded so many people are hoodwinked and urge you to share banskoblog.com — “all you need to know about Bansko” — and not stuff that will deceive you. Enough said.